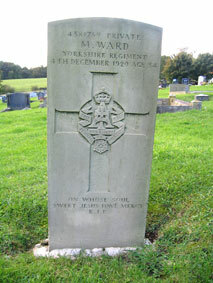 Richmond Cemetery includes 22 graves relating to both the First and Second World Ward. 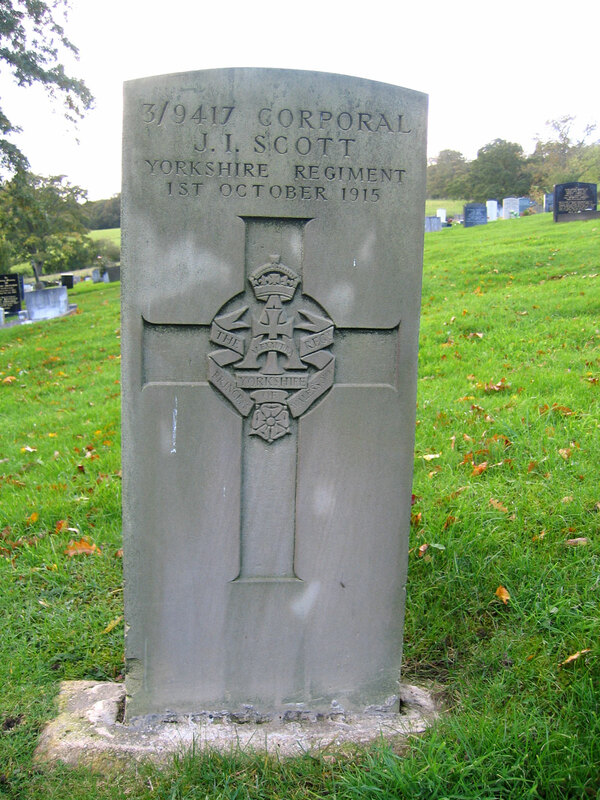 Included amongst the 22 graves are 6 for men of the Yorkshire Regiment who died at home. The graves of the men of the Yorkshire Regiment are as below. 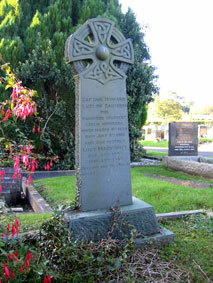 Photographs of the graves have been kindly provided by Richard Roberts (<richard.nsw@googlemail.com>). Select the small sized image for a larger one which opens on a new page. 7th Battalion the Yorkshire Regiment. Son of Mrs. Lucy A. Watt (formerly Bartrum), of 3, Wickham Rd., Sutton, Surrey, and the late Albert Bartrum. 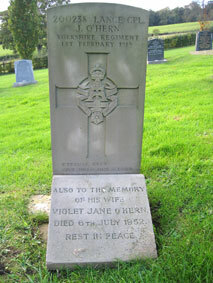 Died at home 8 July 1918. Aged 39. In addition to the Commonwealth War Graves headstone for Captain Bartrum, there is a family memorial to Captain Bartrum and his mother, Lucy Mary Watt. This is shown below. Depot, the Yorkshire Regiment. 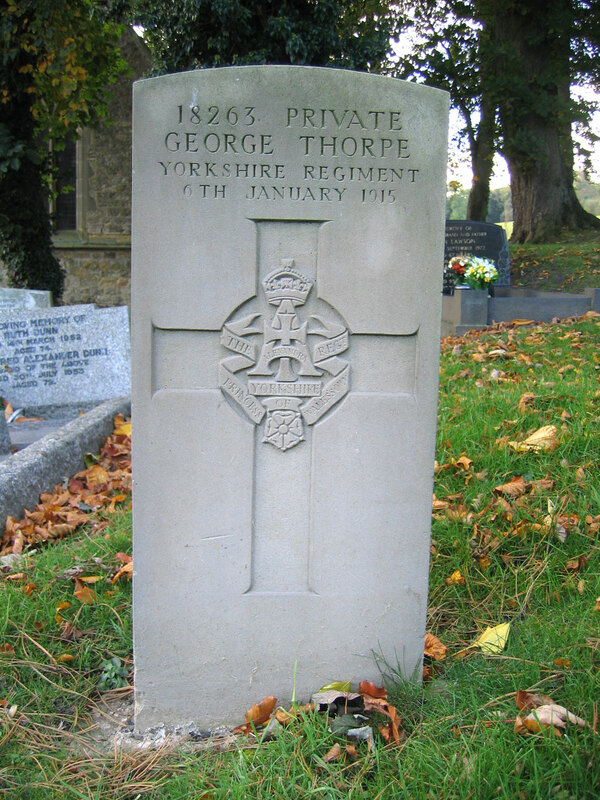 Died at home 26 July 1917. JUNE 26TH 1917 AGED 53 YEARS. IN THE HANDS OF THE LORD"
Lieutenant Hollinshead's grave is in a family grave. 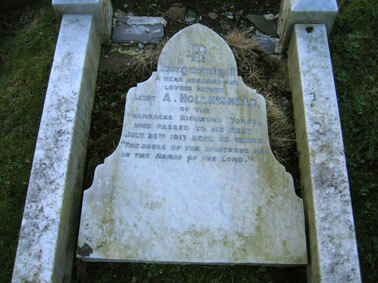 Unfortunately, the headstone has been damaged and now lies flat within the plot. 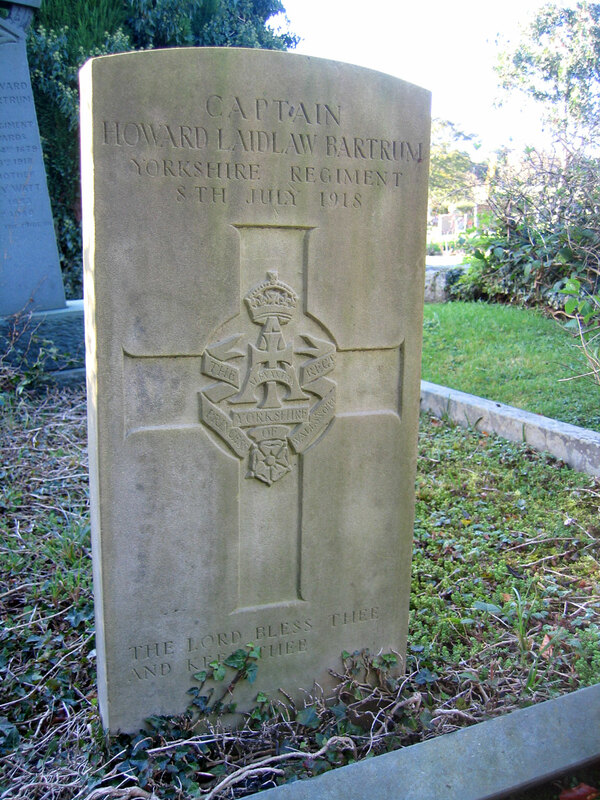 Lance Corporal John O'Hern. 200238. 4th Battalion the Yorkshire Regiment. Son of Richard and Annie O'Hern, of Richmond; husband of Violet O'Hern, of Wolsingham. Died at home 1 February 1919. Aged 35. Corporal John Isaac Scott. 3/9417. Depot, the Yorkshire Regiment. Died at home 1 October 1915. Depot, the Yorkshire Regiment. 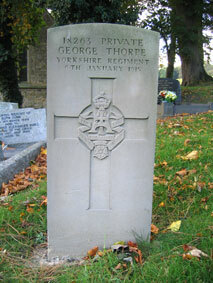 Son of Richard and Annie M. Thorpe, of 13, Eight Street East, Easington Colliery, Co. Durham. Died at home 6 January 1915. Aged 26. Born Blaydon, Enlisted Sunderland, Resided Easington Colliery. Depot, the Yorkshire Regiment. 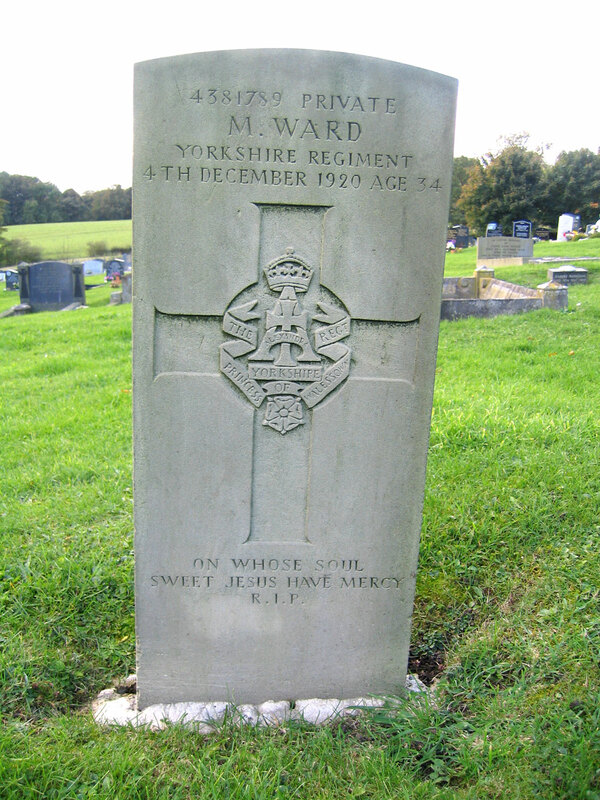 Son of the late Robert and Jane Ward, of Gateshead-on-Tyne. Died at home 4 December 1920. Aged 34.